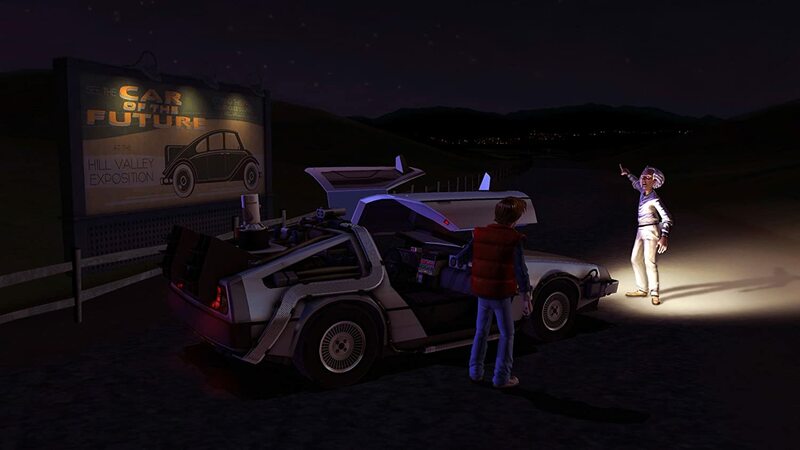 Back to the Future: The Game is available for free on Xbox Live Games with Gold from 16th December to 15th January. This isn’t so much a game as it is Back to the Future Part 4. The whole thing feels like a worthy successor to the movies. It gets the tone and humour perfect. This should probably be expected since Bob Gale, the guy who co-wrote the movies, helped write it. He worked in stories that he had originally planned to include in Back to the Future 2. So you know the story is all authentic and fits in perfectly with the franchise. You play as Marty McFly of course, who else would you be? The story picks up 6 months after Back to the Future III. Doc Brown has been nowhere to be seen for some time. As all Doc’s stuff is being auctioned off, the Delorean turns up outside his house with just Einstein the dog in it and a tape recorded message from the Doc. This leads Marty on a 5 episode story arc across multiples different timelines in order to find and save the Doc and fix the timeline. And of course there are a few hiccups along the way. It wouldn’t be Back to the Future otherwise. The main chunk of the story is set in 1931’s Prohibition. The story is really well told and mixes in classic BTTF characters along with new original characters. We get both young and old versions of most of these characters. BTTF:TG is a Telltale game so if you’ve played other ones, you know how it plays. Click on things and stuff happens. This one however is different from the other Telltale games that I’ve played before. The choices you make aren’t the important thing here. The overall story is. There are a couple of small decisions that stick with you through the game but nothing major that affects the story. You still get multiple dialogue choices to make but you generally end up cycling through all the different options until you get to the one the game needs to you pick to progress the story. The voice acting plays a big part in making the game feel authentic. Christopher Lloyd reprises his role as Doc Emmett Brown and while Michael J Fox didn’t reprise his role as Marty, you wouldn’t even realise it as the guy that does play him, A.J. Locascio, sounds the spit of a 1986 Fox. Fox also does make a couple of cameos in the final chapter. The rest of the supporting characters are also incredibly voiced so it’s great all round. The only drawback I found with the game is that moving around and selecting the right thing can be awkward sometimes and I got screwed over a couple of times selecting the wrong thing. There are also a couple of puzzles that are just tedious, the worst being one in Episode 4 where one specific puzzle can take up to 10 to 15 minutes. I accidentally selected the wrong thing towards the end and had to start over. Wasn’t best pleased at that one. Overall though, I really enjoyed this game. I’m a big Back to the Future fan and I can’t believe it’s taken this long for me to play this game. It’s been on my Steam account for years now. There is a week left to pick up this game for free on Games with Gold. If you haven’t played it, I would definitely recommend that you do. It’s all about the story and that story is damn good and fun. I’m giving this 4.5 Meltzers. 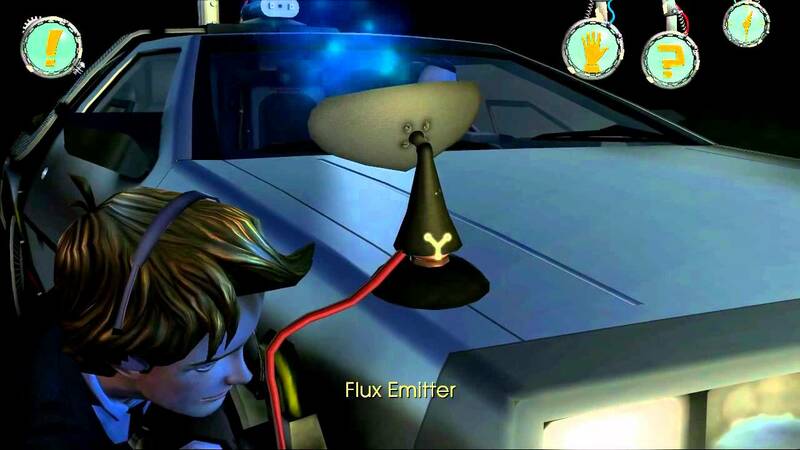 Back to the Future: The Game was released between December 22, 2010 and June 23, 2011 and was developed and published by Telltale Games.